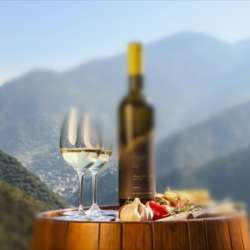 You must be a member of the Munich Wine Tasting Group to attend this activity. Would you like to join this group? We taste 6 diverse wines from Spain accompanied by tortilla, montaditos, ham, cheese and more. 1. Please sign only in if you can come for sure. 3. IMPORTANT: Give me a short notice when the transfer is made!!! 4. I accept the first 23 payments. 5. The money can be reimbursed till 25.01.2019, otherwise please look for the replacement for yourself from the waiting list . 6. The minimum number of participants is 20 persons. I'm really looking forward to seeing you all there!